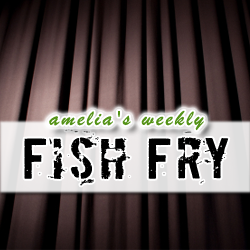 In this week’s Fish Fry (brought to you by Altera), I investigate some of the not so fabulous behind-the-scenes action that happens in the ramp up for the Consumer Electronics Show. I check out a curious press release retraction, why headphone maker Klipsch is gunning for counterfeiters in China, and how HzO will save the world’s electronics…one nano-scale skin at a time. I have a MAX V CPLD Development Kit to send your way this week courtesy of Altera, but you’ll have to tune in to find out how to win.